Danish lighting manufacturer Louis Poulsen creates sculptural pieces that can do as much to enhance a space when unlit as when they’re in use. 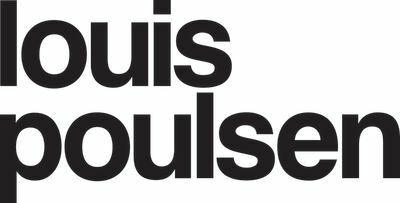 More than a century ago, a young Louis Poulsen took over the company from his late uncle Ludwig R. Poulsen, who started the venture as a vendor of general electrical supplies. The company has since grown into an industry-leading brand built on the principle that function must always precede form; each piece reflects, directs and shapes light to suit a specific purpose. This principle was evident right from Louis Poulsen’s first lamp, the Paris lamp by Danish designer Poul Henningsen. His now famous three-shade system featured three shades of graduating sizes, individually angled to conceal the light source and reduce glare while still allowing maximum illumination. This idea grew integral to Louis Poulsen’s identity and the Paris lamp, now part of the PH collection, still stands as one of the brand’s most popular products. Today, Louis Poulsen explores contemporary designs without losing sight of its core principles. The Above pendant by Mads Odgård, released in January 2017, uses a simple conical shape with an arched open top to conceal the light source while directing light up as well as down. Similarly, Øivind Slaatto’s Patera pendant features an intricate weave of cells positioned at carefully chosen angles, making it impossible to see the light source from any vantage point.